Deb has a masters degree in music education from the University of Kansas. She has taught students from age 4 through adult. She uses a modified Suzuki approach with the younger students or can use a traditional method with students starting at an older age. 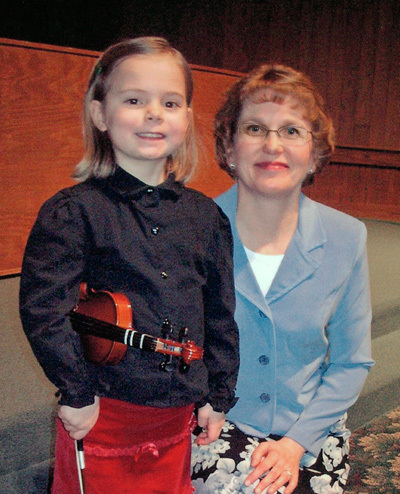 Deb has a masters degree in music education from the University of Kansas. She has been a member of the Kansas City Civic Orchestra and a member of the Metropolitan Symphony Orchestra (Minneapolis) for over 16 years. She has taught students from age 4 through adult since 1988.